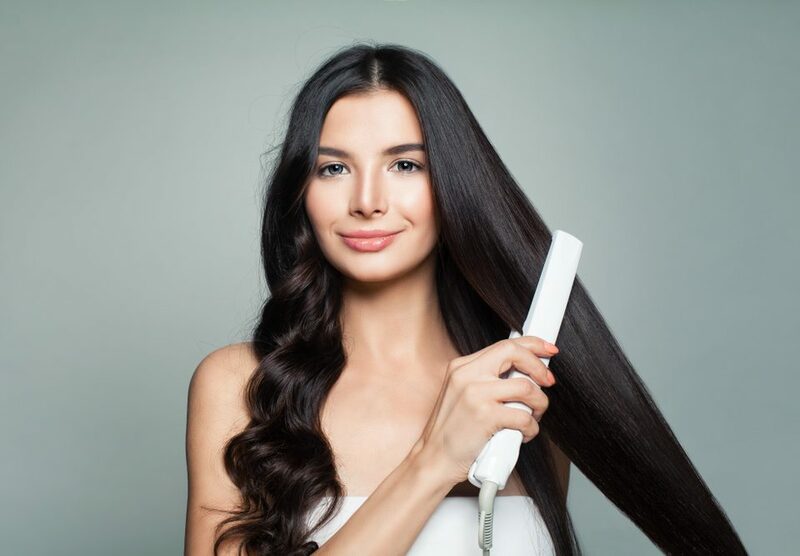 Since first making its way into Australian hair salons, balayage has established itself as a leading hair colouring technique – and for good reason! Ideal if you’re looking for a discreet colour change without a complete colour overhaul, balayage can give your hair a subtle and stylish lift without the high maintenance. 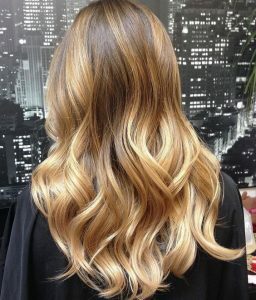 At Rebecca Oates Bicton, our expert colour technicians are renowned for our beautiful balayage blends and multi-tonal techniques. Here are some of our favourite balayage colour ideas for 2018. 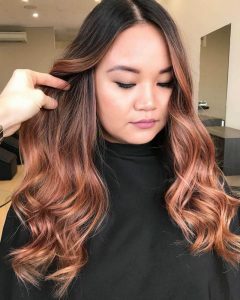 Rose gold hair is already pinned to be a big colour trend in 2018, and this popular colour option blends beautifully with brunette and blonde hair to create a multi-tonal effect that is simply to die for! Whether you’re after a hint of rose to brighten up your darker locks or a subtle pink tint to spruce up your natural blonde, this versatile colour is the perfect way to brighten up your do with a subtle yet stylish change. If you want to rock the beach blonde look without going full blonde bombshell, warming up your natural light brown hair colour with golden blonde balayage is a great way to discreetly lighten your locks. Pair with Rebecca Oates’ signature blow dry waves for the perfect glamourous, beach-wave look! Despite the common misconception, balayage isn’t just for blondes. Brunette beauties can embrace the gorgeous hair trend by introducing some caramel tones to their lower locks. 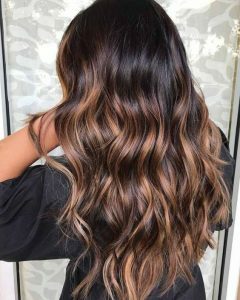 Unlike ombre styles which can create a bigger colour difference, caramel balayage will add a simple and subtle lightness into darker hair colours. 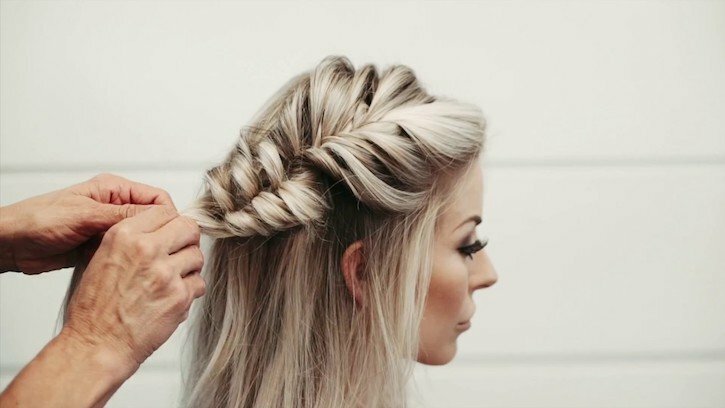 Ash blonde has been in and out of fashion in recent years, but this statement style is making a comeback in 2018. If you’ve been debating whether to give your hair this cool blonde tone, opting for an ash blonde balayage is a great way to gradually make the colour change without the severity of an all-over ash look. 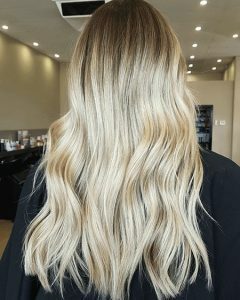 This style of balayage is an ideal option for both younger and mature women, as the cool blonde tones can help hide some of those unwanted greys! Another beautiful balayage option for brunettes is this multi-tonal chocolate brown blend. Paired against a brunette base, rich chocolate tones can give darker hair a subtle lift and shine without the need for a dramatic colour change. 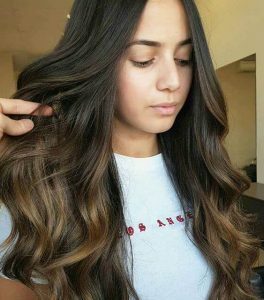 If you are looking for a subtle colour change, the expert hairstylists at Rebecca Oates can freshen up your locks with a variety of balayage colour options. 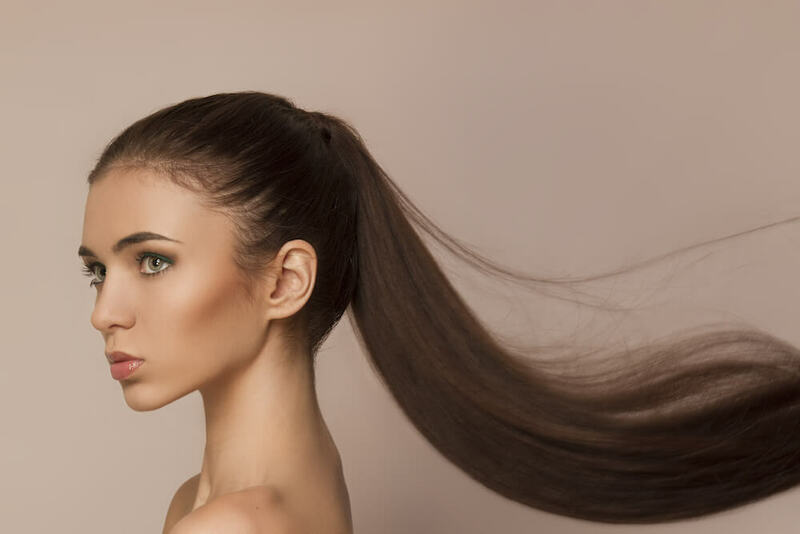 Our Bicton hairdressers and expert colour technicians are highly trained in the latest hairstyling trends, and are known for their superior colour blending and multi-tonal techniques. Contact our Bicton hair salon on (08) 9319 1748 to organise a colour consultation with one of our expert colour technicians.